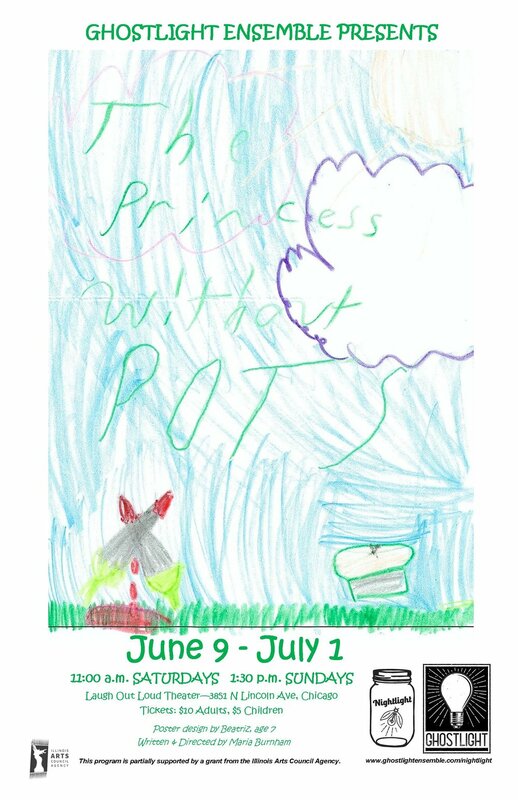 Today's design is by Sterling Schingoethe, 8, of Hazel Crest. 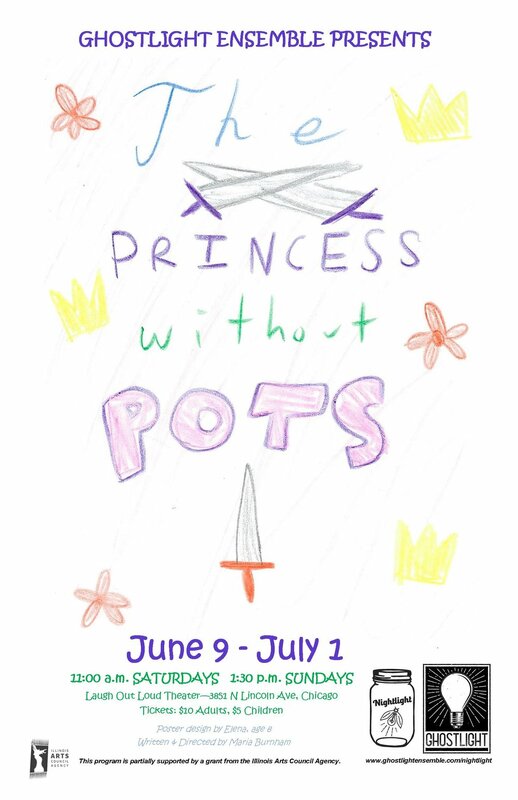 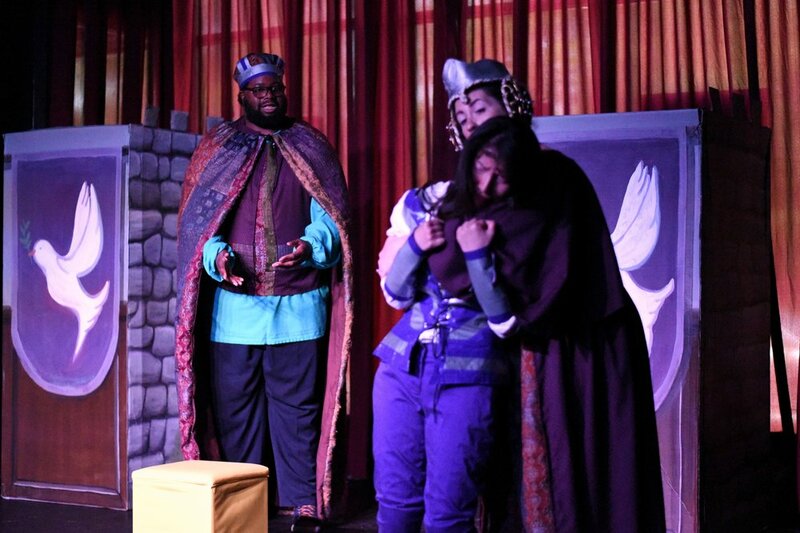 After a few days off, we're back with more alternate poster designs by our young audience members at "The Princess Without Pots." 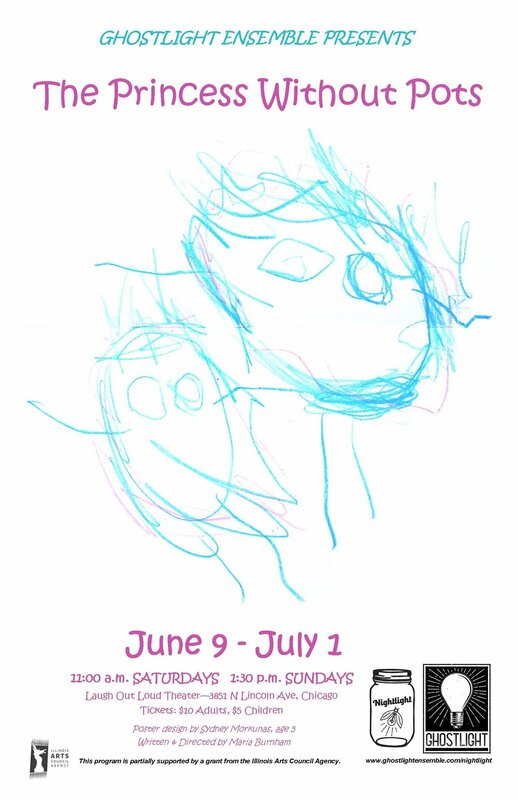 Today's design is by Beatriz, age 7 (well, 7 and a quarter as she pointed out several times), of Chicago.